Global Sources Electronics Exhibition is currently on the way in Hong Kong, and amongst a ton of companies, OUKITEL has shown off some of its devices during the show as well, and is actually amongst the “Top 20 Most Influential Chinese Mobile Phone Export Enterprises”. The company is located at booth 1H12, and the company brought some already released phones to the show, while it also showed off some new ones. The OUKITEL K7, K8, and K10 were shown off, as were the WP1 and WP2 handsets. 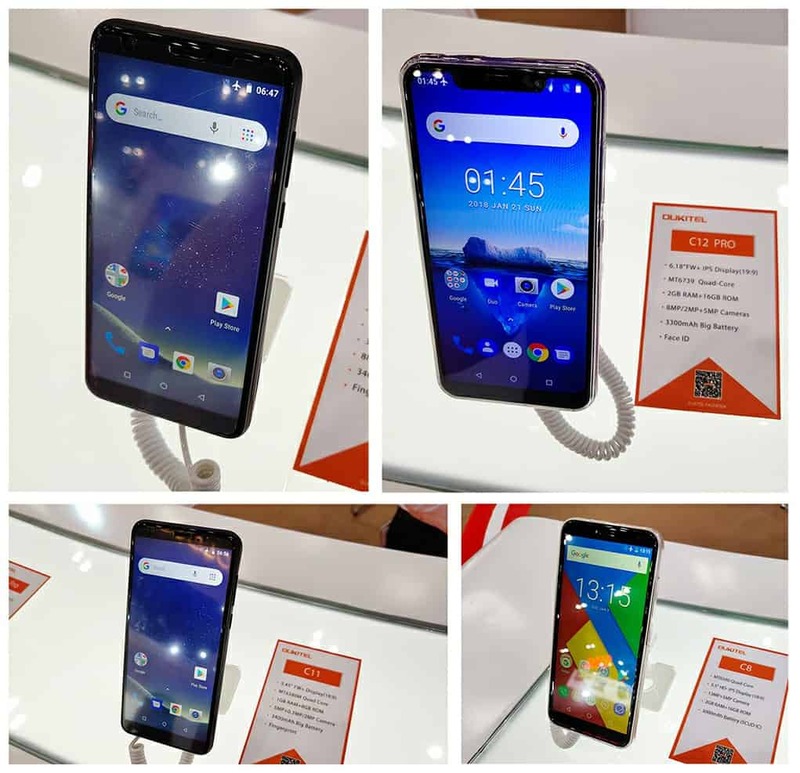 The OUKITEL U23 was shown off by the company as well, and the same can be said for a number of phones from the ‘C’ series, the OUKITEL C8, C11 Pro, and C12 Pro, while the company also mentioned that the OUKITEL C11 and C12 are coming soon. OUKITEL says that the OUKITEL WP2 managed to draw a lot of attention, which is not surprising considering that it’s one of the company’s latest smartphones. The OUKITEL WP2 comes with a 10,000mAh battery, while it is IP68-certified, and it’s also shock proof… this is a rugged smartphone, by the way. The OUKITEL WP1 features a 6-inch fullHD+ display, while it is fueled by the MediaTek MT6750T 64-bit octa-core processor. The device includes 4GB of RAM, and it is already available for $249.99. The OUKITEL WP1 will become available in the near future, it sports a 5,000mAh battery, IP68 certification, and it’s shock proof as well. This is also a rugged phone, and it is fueled by the Helio P23 64-bit octa-core processor. The phone comes with 4GB of RAM, while it sports 13 and 2-megapixel cameras on the back. A 5-megapixel camera is included on the front, and the phone supports wireless charging as well. The OUKTEL U23 is basically the most powerful phone in the company’s ‘U’ series of smartphones, so it’s not surprising quite a few people were interested in it. The device features a 6.18-inch fullHD+ display, a display notch, and it comes with 6GB of RAM and 64GB of storage. This phone also supports wireless charging, and it comes with an 8-megapixel front-facing camera. If you’d like to check out some images from OUKITEL’s booth, they’re included in the gallery down below. You are reading an article on the OUKITEL Shown Off Many Devices At Global Sources Trade Fair. All materials on the site Gadgets F, а также и статья OUKITEL Shown Off Many Devices At Global Sources Trade Fair - written for the purpose of information enrichment and we are happy if you like our magazine.